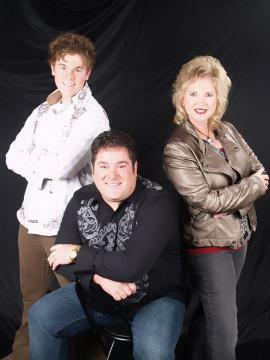 Dean and Gayna Forrest have ministered together since 1983 when they met singing in Joyful Sound, an outreach ensemble of North Greenville University in Greenville, SC. Since that time, God has given them the opportunity to minister in over 900 churches across 28 states and 3 foreign countries. In October 1992 God called them to leave their secular employment to minister in evangelism on a full-time basis. Dean and Gayna's hearts are fixed on leading others into the manifested presence of God through praise and worship, ministry in the Word and dynamic personal testimony of God's faithfulness. "When we lead others into the presence of our loving, holy God, He brings the ones who are lost to salvation through His Son Jesus Christ and continues the process of conforming the rest of us into His image."